YOUNGSTOWN, Ohio — George Pearce remembers all too well his first week of work at what was then Packard Electric Corp. in Warren. Since he was newly enrolled in the apprentice program as a tool and die maker, Pearce survived the cuts and most employees on layoff were recalled once the oil crisis subsided. Yet he never forgot just how fickle a job with a large manufacturer could be and that at any moment his position could be the next to go. “Every week, I was waiting for the next shoe to drop,” he says. In 2001, Pearce accepted a buyout from the company, at the time renamed Delphi Automotive Systems. He then devoted his attention to a new venture that he established that year: LRB Tool and Die Ltd. in Warren, which continues to expand and diversify. As Pearce’s business was just getting started, his former employer, Delphi, filed Chapter 11 bankruptcy in 2005. In so many ways, Pearce personifies an important segment of the transitional economy of this region – those who for one reason or another left jobs with major manufacturers to strike out on their own as entrepreneurs. Others have also taken the risk. Chris Wade, an employee of Delphi for 13 years, started his own construction company after he accepted a buyout in 2006. 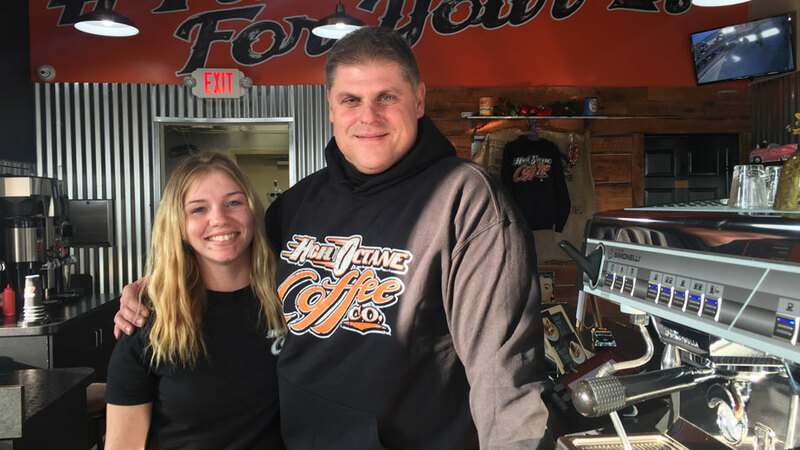 George Syrianoudis, who will retire after 30 years with General Motors Co. when its Lordstown plant shuts down in March, opened a new coffee shop last year. 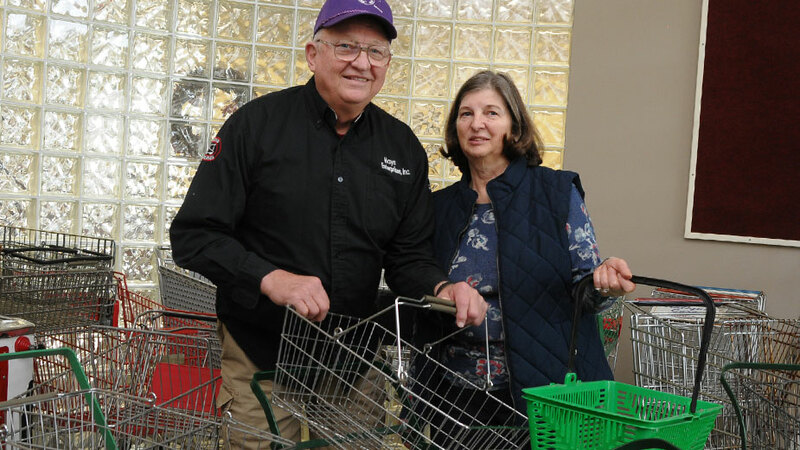 Jay Hays left his job at GM Lordstown in 1994 and has since built a successful business reconditioning shopping carts and other products for the retail industry. While these transformations will never absorb the overall loss of manufacturing jobs in the region, these businesses and others like them demonstrate the changing nature of the Mahoning Valley economy and the opportunities that still exist here. GM Lordstown and Delphi operations in Warren together employed more than 30,000 hourly and salaried workers in the Mahoning Valley during the 1970s and 1980s. To many, these companies provided a kind of industrial and economic insulation, an antidote to the devastating steel shutdowns of the late 1970s and early 1980s. By the next decade, these manufacturers started to shed jobs in and ship production work to Mexico and China. George Pearce and his son, Ryan, look over schematics at LRB Tool and Die. “A lot of people thought Delphi was too big to fail,” Pearce says. He concedes there was no master plan to start his own company after he left Delphi. He raised a pole barn behind his house, bought some used milling equipment and began to machine parts for customers on the side while still working at Delphi. As his customer base grew, Pearce bought a building once used as a restaurant and banquet hall just off Parkman Road along the Mahoning River that fit his needs perfectly. LRB Tool and Die designs and manufactures tools mostly for regional customers. Ironically, its largest customer is the latest incarnation of Delphi. Pearce’s company employs nine, five of whom once worked with him at the plant. 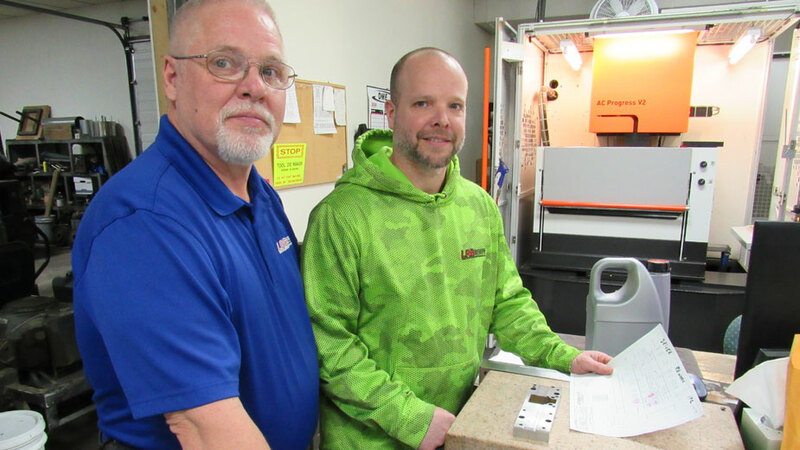 “I’m still doing the same stuff, but it’s different as a business owner,” he says, as he walks through a brightly lit room that houses sophisticated electrical discharge machining, or EDM, equipment. “There aren’t a lot of shops that can do high-quality precision stuff,” he says. Years on the job at Delphi provided the best hands-on education for himself and hundreds of workers who today can apply those skills elsewhere, he says. Others have embraced the change by pursuing businesses outside of manufacturing. Syrianoudis has worked at the Lordstown plant for 30 years and will officially retire as a general foreman in the body shop when it shuts down in March. He was offered another position at another plant, but declined the position to stay in the Mahoning Valley and retire. George Syrianoudis and Kaila Walker serve coffee at High Octane Coffee Co.
“I feel bad for some of my co-workers that don’t have that luxury,” he says. Last year, Syrianoudis opened up a High Octane Coffee franchise in Austintown near the Interstate 80 interchange at state Route 46. Opening a coffee franchise made sense to Syrianoudis because he enjoys interacting with customers and loves coffee. “I didn’t know this, but I recently found out that my grandfather once ran a coffee shop in Youngstown,” he says. Over the past six years, the operation has expanded and is successful today. “It’s one of the reasons that allowed me to retire early,” he says. Others who once worked at the plant also have established successful businesses, Syrianoudis adds. “One of our friends started a welding shop and is doing good, and another former co-worker opened up a restaurant in Hudson that’s really nice,” he says. Still, the thought of GM Lordstown shutting its doors stings and most of the workers he knows are just now trying to absorb the shock, Syrianoudis says. Like most in the plant, he thought that GM would at least continue building the Cruze through the 2021 model year. Instead, the company announced it would cease production of the vehicle in March, leaving the future of the plant uncertain. “I think this came on so sudden and caught everybody by surprise,” he says. The downsizing of GM and Delphi over the past two decades has occurred gradually, and the loss of manufacturing jobs from these two giants has contributed to the hollowing out of the industrial workforce in the region. To some degree, these reductions were cushioned by incentives to retire early or generous buyouts as the local economy adjusted to these changes. According to the U.S. Bureau of Labor Statistics, between August 2009 and December 2018, the Mahoning Valley lost more than 8,800 jobs in the manufacturing sector. Between 1999 and 2009, 23,200 manufacturing jobs were lost in the region. That adds up to a total reduction of 32,000 manufacturing jobs over the last 20 years. Often, the leap from the factory floor to owning and operating a company is born out of necessity, reflects Jay Hays, president of Hays Enterprises Inc. in Lordstown. Hays worked 21 years and two months at GM, starting in 1973 at the Fisher Body Shop. All of that changed after an evening stop to pick up some groceries. “We stopped in this grocery store and the shopping carts were filthy. Some were battered,” Jay Hays says. He suggested to the manager that the store could save money by having him refurbish the carts instead of buying new ones. “I saw that there was a need for a business like this,” he says. Over the next several years, the small company expanded by building molds for new cart handles and seats and distributing these products all across the country. By 1994, the company was so successful that Hays opted to accept a buyout from GM and devote all of his attention to the business. He purchased land along Ellsworth-Bailey Road in Lordstown just north of the GM plant and in 1995 constructed a new building for the company. Today, Hays Enterprises has diversified into refurbishing food preparation and cutting boards used in the restaurant industry, as well as providing repair, replacement and restoration services for shopping carts. The sudden announcement to close GM Lordstown has spurred some local agencies into action in an effort to help former employees who are interested in starting their own business. For Chris Wade, that meant restructuring his entire life in the wake of the Delphi bankruptcy in 2006. “I started there in 1993 and took a buyout. I worked as a temporary shortly after that,” he says. The loss of a good-paying job at Delphi produced a significant stress in his life, he says. Moreover, it was difficult to find work in the manufacturing sector then. Most were offering entry level positions at about $10 an hour, a wage he couldn’t live on after making upward of $20 an hour at Delphi. Wade worked on the production floor three years and served as a steward for IUE-CWA Local 717 for 10 years, he says. “I couldn’t find what I wanted to do. So I started my own business,” says Wade, now the owner of Wade Construction in Cortland. “I do all kinds of stuff: roofing, snow plowing, gutter cleanings, lawn cutting, some remodeling.” Initially the venture began with a partner, but that dissolved three years ago. He’s heard that others he once worked with at Delphi are finding it hard to make ends meet and says the company’s decision to downsize the Warren operations while reinvesting in plants in Mexico did serious damage to the local workforce and economy. “Some of those workers aren’t doing well and some are still having a very difficult time,” he says. Agencies that support entrepreneurial programs in the Mahoning Valley are working to develop new programs intended to ease the transition for those looking to start their own business. “We’re very interested in pursuing this,” says Mike Conway, executive director of the Mahoning Valley Economic Development Corp. The concept is to establish a new revolving loan fund dedicated to entrepreneurial development in the region. MVEDC is looking to apply directly to the U.S. Department of Commerce Economic Development Administration for money that would be used to seed the program. The size of the fund would be determined by the number of matching dollars secured through area lenders, foundations or philanthropic organizations. “We’re in the process of securing these matching dollars,” Conway says. The idea isn’t exactly new, Conway says. MVEDC employed the same strategy during the early 1980s in response to the steel shutdowns of that period. Jason Heyman, a consultant at the Ohio Small Business Development Center at Youngstown State University, says his office hasn’t received much interest from those recently placed on layoff from GM related to establishing a business. “It’s still a little too soon,” he says. Often, the prospective business owner would have already performed the necessary due diligence on the feasibility of the idea, which takes some time. There are at least three companies the agency is working with whose owners were once employed in the manufacturing sector, Heyman says. “One of them is in the process of lining up financing,” he says. Establishing a business in the Mahoning Valley has its advantages, Heyman says. Pictured above: George Pearce, president of LRB Tool and Die, founded his company after leaving Delphi.